A celebration of music and art in the Norfolk countryside. Curated by Craig Richards and produced by the Gottwood Festival team, Houghton Festival returns in 2018 after making arguably one of the most successful festival debuts of recent times. Described in some quarters as setting a new benchmark for music festivals, Houghton’s simple refined approach, including bespoke sound systems, fantastic food and extended DJ sets, struck a chord with many who attended last year. Houghton Festival continues along the same innovative path in 2018. 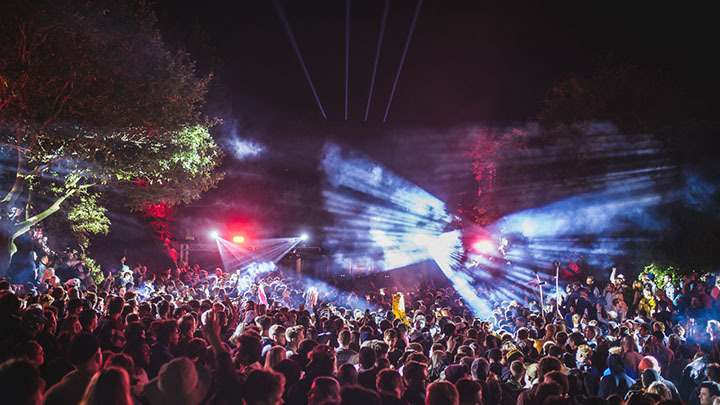 It remains the only UK summer festival to fuse art, music and sculpture, whilst its licence uniquely allows musical programming of both sunset and sunrise. All artists have been personally invited by Craig to play, with an emphasis on the extra special. Spontaneous back-to-back sets will be encouraged and longer DJ sets will be the norm.